15 major seafood businesses from Vietnam joined the Boston 2019 Seafood Expo in the U.S.
A project focusing on high-quality shrimp production of Viet Uc Group in Dam Ha District, Quang Ninh Province, has produced its first batch of whiteleg shrimp breed with 12 million post-larvae. The production meets the demand of local farmers in the province. This milestone not only solves the province’s issue of lack of shrimp breed with traceable origin and high quality, but also opens a new direction for the shrimp farming industry of Quang Ninh Province towards modernization. Viet Uc Group will increase its capacity to 8 billion post-larvae per year to supply to Quang Ninh Province’s market as well as other Northern provinces. 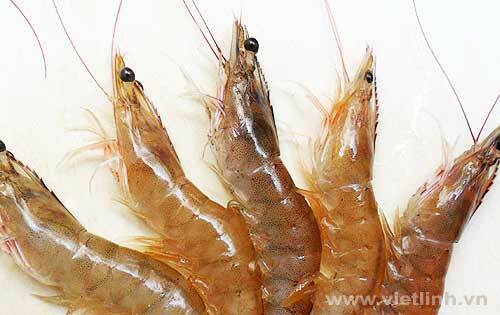 Currently, Quang Ninh Province has over 10,000 hectares of shrimp. Of which, 3,950 hectares focus on industrial farming and concentrate mainly in Mong Cai, Dam Ha, Hai Ha, Tien Yen and Quang Yen. 15 major seafood businesses from Vietnam joined the Boston 2019 Seafood Expo in the U.S. This event is the largest annual seafood exposition in North America. This year, the expo attracted more than 1,000 businesses from over 50 countries and territories around the world. At the expo, seafood enterprises from Vietnam such as Minh Phu, Hung Vuong, Nghi Son, and Seaprimexco learned about the current trends and updated product requirements in the aquaculture industry. They also sign new contracts with foreign partners. Their participations in the Boston 2019 Seafood Expo have helped promote Vietnamese seafood brands to international markets. Vietnam Dairy Products Joint Stock Company (Vinamilk) has organized an inauguration for its largest dairy farm in Vietnam that meets the Global GAP standard. The farm is located in Long Thinh Hamlet, Long Khanh Commune, Ben Cau District, Tay Ninh Province. This is one of the pioneering farms in applying Industry 4.0 technology to management and livestock in Vietnam. Vinamilk dairy farm in Long Khanh Commune, Ben Cau District has a total area of ​​685 hectares, raising 8,000 dairy cows and calves with a total investment cost of over VND1,200 billion (equivalent to $50 million). Currently, the raw milk output of the farm has reached more than 100,000 liters of milk/day, equivalent to nearly 40 million liters of milk/year. It is the largest independent dairy farm in Vietnam at the present time. The farm is also the largest dairy farm in Asia that meets Global GAP standard. Son La is currently the second largest province growing Arabica coffee in Vietnam. Recently, Phuc Sinh Group launched its Blue Son La product line that selects the best Arabica coffee beans from Son La. The group also introduced its Blue Son La's Specialty Coffee product line to the world market. Phuc Sinh Group especially assists farmers with information about growing coffee and improving cultivation techniques. As well, the group creates the best production conditions for farmers in Son La such as committing to purchase their coffee at prices that are higher than what the standard market offers. According to the authority of Ham Yen District, Tuyen Quang Province, in the 2018 – 2019 crop, orange production in this area is estimated at about 100 thousand tons. Of which, Sanh orange is estimated to reach 85 thousand tons, and the rest are other kinds of oranges. Currently, gardeners have harvested about 60 thousand tons of Sanh oranges. Despite that, the number of orange at the end of this harvest season is still large, along with the lowest orange price in the past few years, many growers are concerned. Many orange growers said that in the previous years, the price of orange at the end of the harvest season was high. In the 2017 – 2018 crop, the price of orange sold at gardens ranged from VND15,000 to VND 18,000/kg. This year, it is reduced to only VND8,000. With low price and high yield, ripe oranges are not harvested in time. Thus, many rotten, ripe fruits cause losses to growers. Agricultural production in An Giang Province has achieved great achievements. In 2018, the province's export turnover reached $840 million. Of which, the export value of agricultural products reached $542 million, accounting for 65% of the total export value of the province. According to the authority, in the first quarter of 2019, the province's export turnover reached $212 million. Its export value of agricultural products also reached $138 million, continuing to account for 65% of the total value of export turnover of the province. Saola (Pseudoryx nghetinhensis) is a large wild animal. It was first discovered only in 1992 in Vu Quang National Park (Ha Tinh Province, Vietnam). The world has put this species into the "red list” and classified it as an extremely endangered species. Saola has always faced the threat of extinction since it has only been discovered in Vietnam and not in any other countries. Recently, the Vietnam General Department of Forestry and the International Union for Conservation of Nature (IUCN) have signed a memorandum on the establishment of a conservation program for saola in Vietnam. Tran Thanh Nghi experimented Asian arowana (dragon fish) farming in a natural environment. He tried to breed the fish in his farm of about 7.5 hectares in Song Trau Commune, Trang Bom District, Dong Nai Province. Initially, he only farmed only a few fish, then gradually grew up to 30 to 40 Asian arowana in a pond. After more than 2 years of experimenting, larvae arowana started to appear in his pond. Currently in the pond, there are different varieties of Asian arowana that are about 12 to 13 years old, and worth hundreds of millions of Vietnamese dong. Every 3 months, his farm sells a batch of arowana of all kinds to supply to agents in the region, or sell them individually to customers with values ​​that are as high as imported fish.